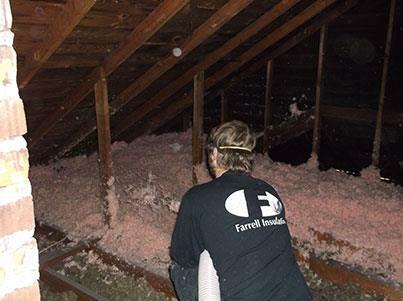 Adding attic insulation helps reduce energy costs to the customer by increasing the R-value of pre-existing insulation in the attic. An increased R-value means that heat will meet more resistance as it tries to leave or enter the dwelling. 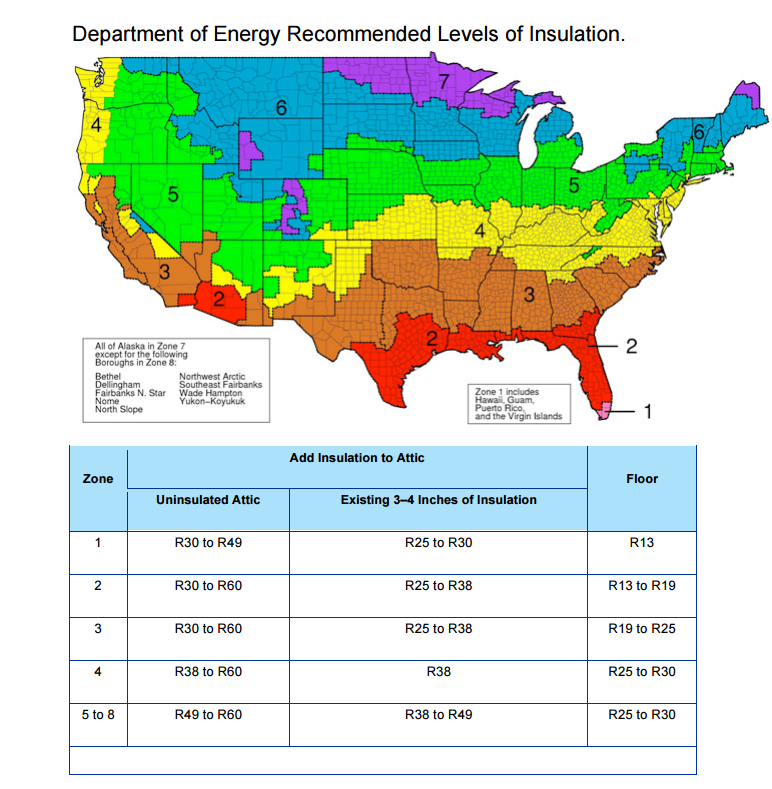 For a detailed map of how much insulation your home or business should have take a look at this. 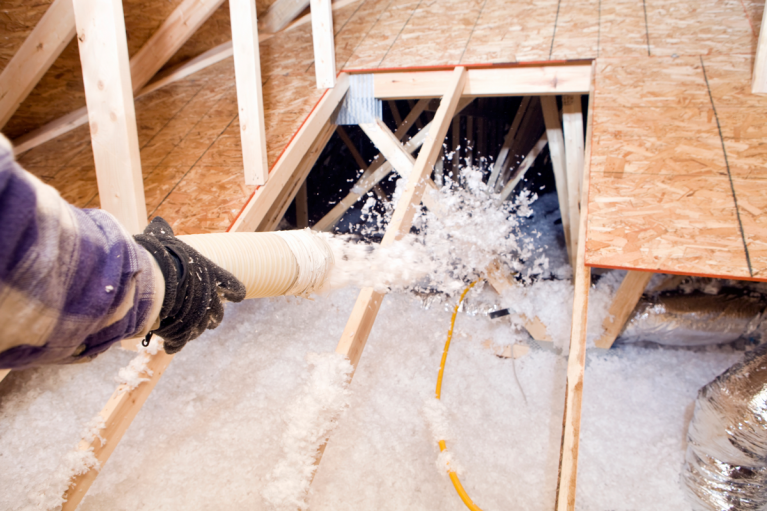 Our insulation services include spraying in loose-fill fiberglass insulation. 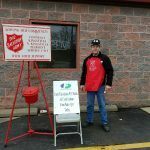 We alternate our products between Owens Corning™ and Johns Manville™. 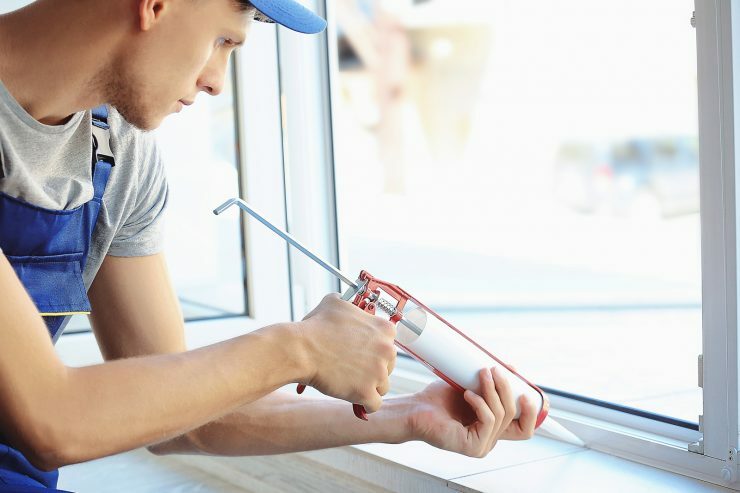 These services are offered to our residential, commercial, and weatherization customers.